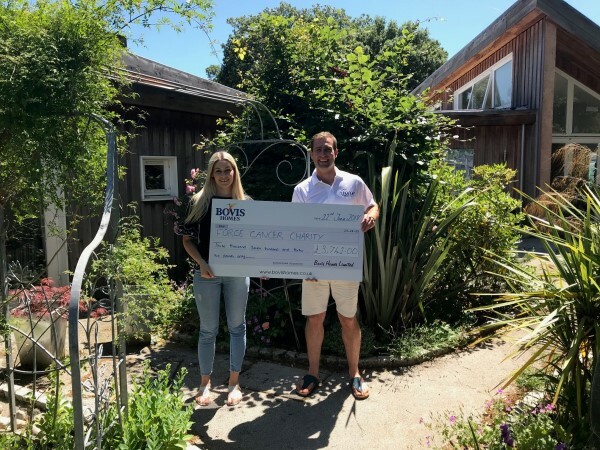 Bovis Homes pledged to donate five pounds to FORCE Cancer Charity for every visitor to one of its sales centres in the South West in May. Combined with the other fund-raising ideas this year, which has included raffles, a cutest pet competition, a World Cup sweepstake, dress-down days, a cream tea event and cake sales – it has seen £3,742 donated to the charity. Established in 1987, FORCE (Friends of the Oncology and Radiotherapy Centre) funds local research and buys equipment to improve patient care. It also has a cancer support and information centre for people needing physical, emotional, psychological and practical support.